Next up in my festive gift guide series is presents to suit ladies, be they mums, sisters, colleagues or friends… I know it’s tempting to just attack the boots 3 for 2 offers and stock up but who really needs that many bath sets? Here are a few things that I am either giving or would like to get under the tree! Candles! I think you’d be hard pressed to find a friend who doesn’t like burning candles, and although people have personal preferences as to what scents they like unless you pick something really out of the ordinary I think you’ll be okay. 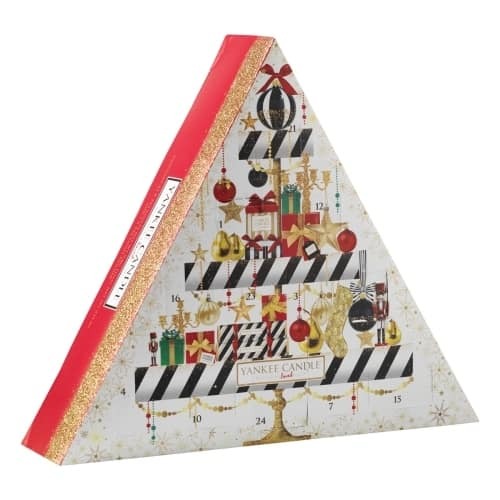 The Yankee Candle Holiday Party advent calendar is sure to have something in there to suit all tastes, with four brand new scents this year. 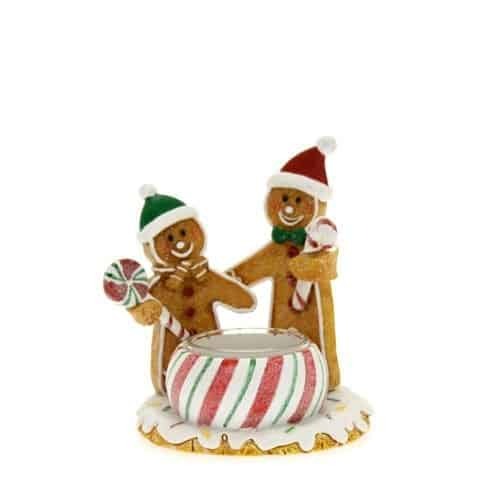 There is also a sweet range of candle holders too, I love the gingerbread men ones! For someone really special, a luxury scented candle could be the way to go, the range from Voluspa is immense, and the candles are free from parabens and sulphates, and the gorgeous glass jars can be used afterwards! The scent is just right, not overpowering but the sandalwood and amber notes of this baltic amber scent give it a nice spiced festive scent… since taking this picture I decided to burn it after trying to keep it for Christmas and not only does it hardly make a dent (around 100 hours burn time) it’s made my whole living room smell cosy! Personally I think an Emma Bridgewater DAB radio would look good in any kitchen or bedroom, there are a lots of styles to choose from as well as some plainer colours. I love to have the radio on in the background when I’m baking or pottering around in the kitchen, and sometimes when I have a bath too! Most radios and stereos aren’t particularly fun to look at but these are pretty even when they’re not being used for their intended purpose! I think these are intended to contain a moscow mule cocktail (I don’t even know what’s in one!) but the copper trend isn’t going anywhere fast, and these mugs (in a set of four) would be perfect for drinks, tiny little succulents or even as pen, pencil or makeup holders! If you know someone who really isn’t a morning person then a Lumie BodyClock would be perfect for them, it wakes them up gradually using a ‘sunrise’ effect, which gradually brightens until the time they’d normally set their alarm for. It can also have a regular alarm or the radio too. and has a white noise function as well as a few others. I’ve been using this for a few weeks now and although the times that it has woken me up before the baby are few and far between it has been lovely to be woken up without the jarring alarm blaring in my ear! The clock display is handy too as it means I don’t have to fumble about to look at my phone for the time during the night. Waking up to a natural light every day resets the sleep/wake cycle too, boosting productivity and energy levels. Backpacks seem to be more fashionable than ever, though really it should be about about comfort than fashion but either way a good backpack would be a good buy for someone who has to cart stuff about on a daily basis. 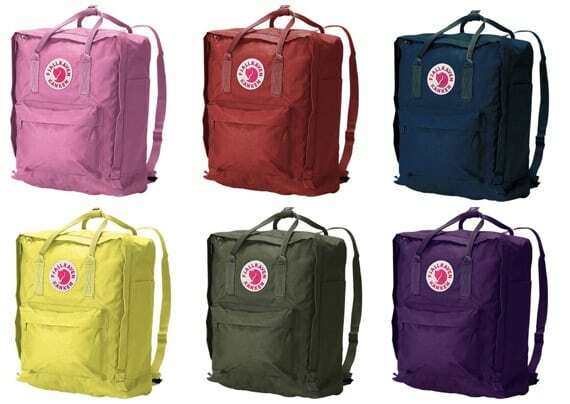 Fjallraven Kanken backpacks are on trend, and really well designed, plus you can get handy inserts for them for things like cameras and laptops! They come in different sizes and colours too! My chum Carrie has written about hers here. So this one is for any strong mama you know, (that’s all mums btw!) the Motherhood T is from Three Bears Threads, and not only is it super comfy it comes gorgeously wrapped so you could send it direct to your chum without worrying about wrapping! Three Bears Threads have so many nice designs for kids and adult clothes (here is Arlo in their stag leggings) that it was hard to pick, but eventually I settled on this one, my second favorite was the ‘tired is the new black’ slogan tee! Finally you can’t go wrong with jewellery for any gift, not just at Christmas! Make it personalised and you’re onto a real winner. 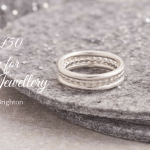 Scarlett Jewellery is a local-to-me business and I love to support locally when I can so I was really happy when they offered me a £50 voucher to give away to someone! Their jewellery range is delicate, unique and I think there would be something suitable for everyone. The Twilight collection features dainty stars and moons, the Touch collection is more organic looking, and the Mojo collection features charms with positive messages, There are pieces in silver, gold and rose gold (always a winner with me) and many items can be personalised too! So if you want to treat someone, or even yourself then get entering! Winner will be sent a code to use online to receive £50 off their order. There is no cash alternative, and the discount code can be used once only. Prize supplied by Scarlett Jewellery. UK address only. Entrants must be over 18. Some links are affiliate links, and I received some of these products to feature in this gift guide. As ever all words and opinions are my own. I love fjallraven nankeen back packs I’ve had mine forever and it’s still going strong! I love the personalised charms. Emma Bridgewater DAB radio Great blog!! I love the Emma Bridgewater DAB radio – fab! The Angel Wing Silver Stud Earrings are stunning! Simply Heart Outline Stud Earrings are absolutely stunning. Some great ideas here. I love the cups and the radio. I love the Mojo Bead Silver Bracelet! I really like the sweetheart sliver charm ring. I’m in love with the Eclipse Silver & Rose Gold Necklace, just beautiful! https://www.scarlettjewellery.com/jewellery/silver-duo-simply-heart-necklace is my favourite from the range, but to be honest it was hard to choose with so many beautiful pieces. The silver bobble charm bracelet is nice. The Emma Bridgewater DAB radio is my favourite. The Superstar duo necklaces are gorgeous! I love the Eclipse Silver Necklace! Gorgeous items! I like the Mojo T-Bar Silver Bracelet. I love the superstar grace silver necklace, it’s so pretty. I love the Bumble Bee Gold Necklace, thanks for the lovely giveaway. Love this https://www.scarlettjewellery.com/jewellery/eclipse-silver-gold-double-bangle from the range on offer, it’s gorgeous. I like the Bumblebee Gold and Silver necklace. I like the Men’s Slim Silver & Leather Bracelet. I love the Tiny Beginnings Silver Necklace, it’s a tiny acorn, my son’s Nursery is called Little Acorn’s and he’s due to leave for school next September. I’m dreading it, he’s been there for over 2 years now and they’ve all been so helpful. I can’t even think about it, yuck! But this necklace would be a lovely way of remembering. The que sera gold bangle is gorgeous! I love the Personalised Silver Mojo Charm Bead, I would get one with my sons name on. All stunning pieces but I love the personalised St Christopher necklace . I think the silver and gold heart stacking ring. I love the Tiny Star Silver Necklace, so delicate and pretty! Wow! There are so many cute pieces on their site. I’m in love! I really like the twilight rose gold earrings though.